As a graduate of the University of Pennsylvania with a Master of Landscape Architecture, Jestena Boughton has served as a professor at the University of Massachusetts, Amherst, and has been a guest lecturer at Harvard, Rensselaer Polytechnic Institute and Ball State University. In 1998 she was a team leader at the Tashkent Peace Park in Uzbekistan, USSR. She is the past president of the Washington and Boston chapters of the American Society of Landscape Architects. Her private practice experience includes associate with Jones & Jones, Hanna/Olin, Cope Linder & Walmsley and partner in Talley/Boughton/Takagi. 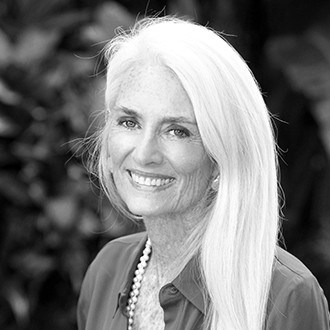 As the third generation owner of the Colony Hotel in Kennebunkport and the Colony Hotel & Cabana Club in Delray Beach, Florida, both National Trust Historic Hotels of America, Ms. Boughton has distinguished herself in the greening of her businesses. "Green" Hotels are environmentally-friendly properties whose managers are eager to institute programs that save water, save energy and reduce solid waste in order to help protect our earth. Ms. Boughton has established the standard for eco-friendly and pet-friendly hotels for the benefit of her guests, her employees and her community.